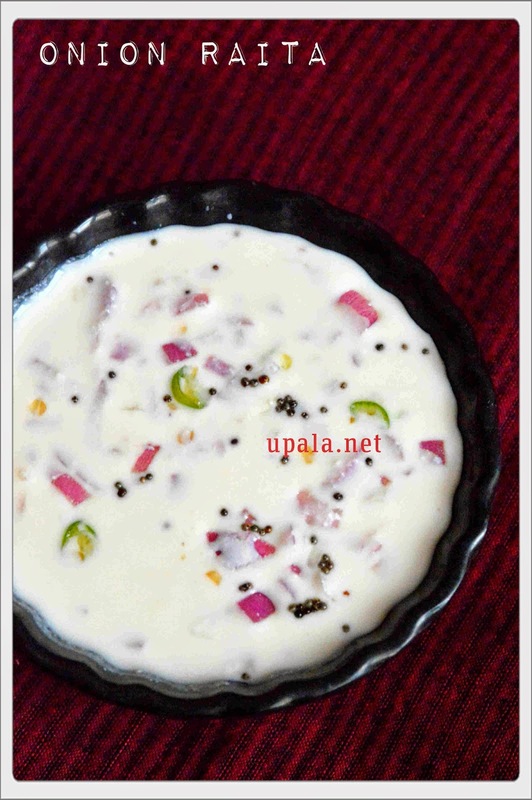 This is a tasty South Indian style Onion raita which goes well with all rice varieties like Tomato rice, Mint Rice, Pulao. 1) Add salt and sugar to curd and mix well. Now whisk the curd to make it smooth. 2) Add onion and Green chillies and mix well. 3) Heat oil in a kadai and mustard seeds to crackle. After it crackles, add thsi mixture to Raita.